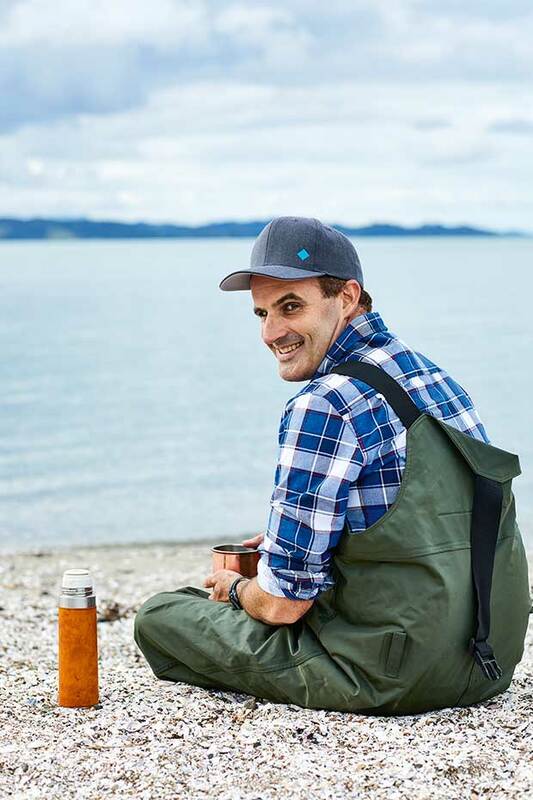 With a custom-made vacuum chamber and buckets of ingenuity, Greg Beattie turns seawater from the Hauraki Gulf into New Zealand’s first truly artisanal sea salt. 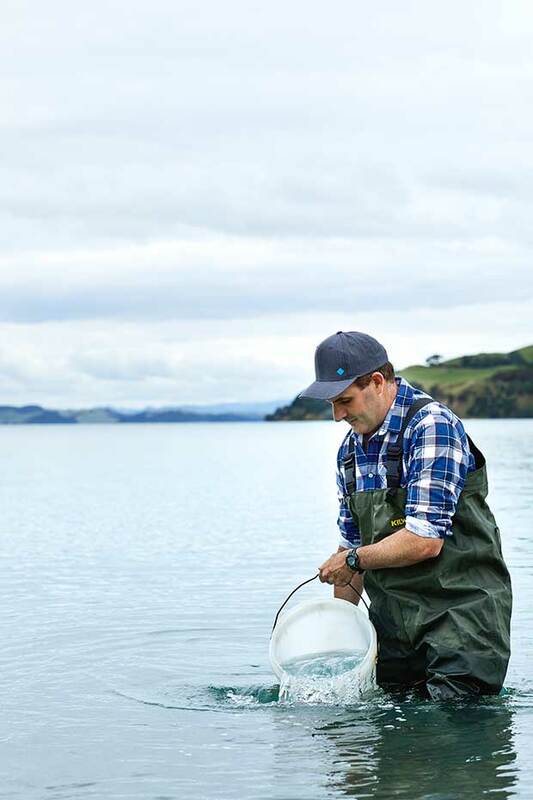 Over the past few years, beachgoers visiting the Maraetai-Clevedon coast south of Auckland might have chanced upon Greg Beattie collecting seawater – first by the bucketful, then the tank load. 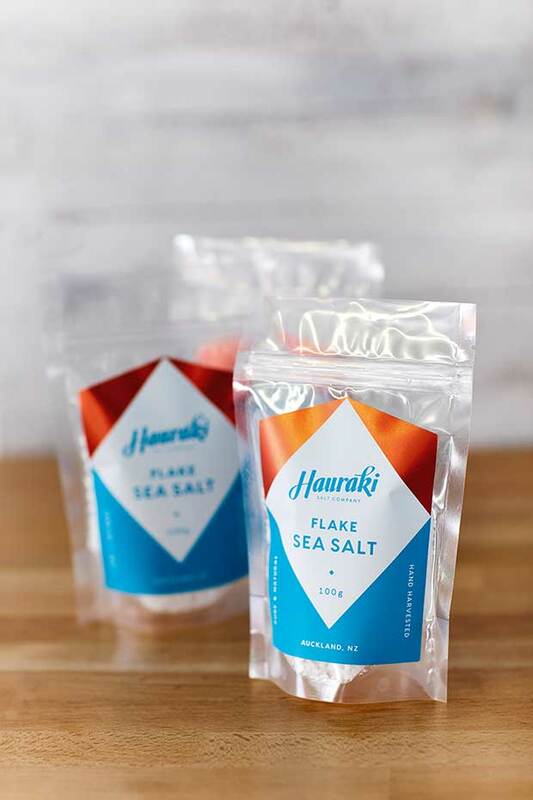 The 38-year-old was in fact experimenting with making his own sea salt which, after some tenacious trial and error, he has now turned into a business, Hauraki Salt, named for the gulf that borders our biggest city. The idea came to him during a visit to a farmers’ market. 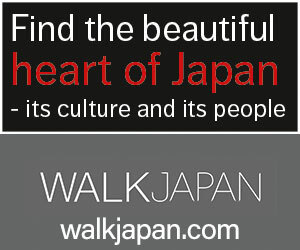 “I was watching a guy doing cooking demonstrations using local produce,” Greg recalls. “He presented it with great gusto as the most local, fresh plate of food you could ever find. Then he reached under his bench and pulled out a packet of sea salt from England and sprinkled it all over the top. 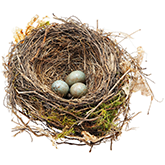 A landscape gardener by trade, Greg had been searching for a business idea for some time. 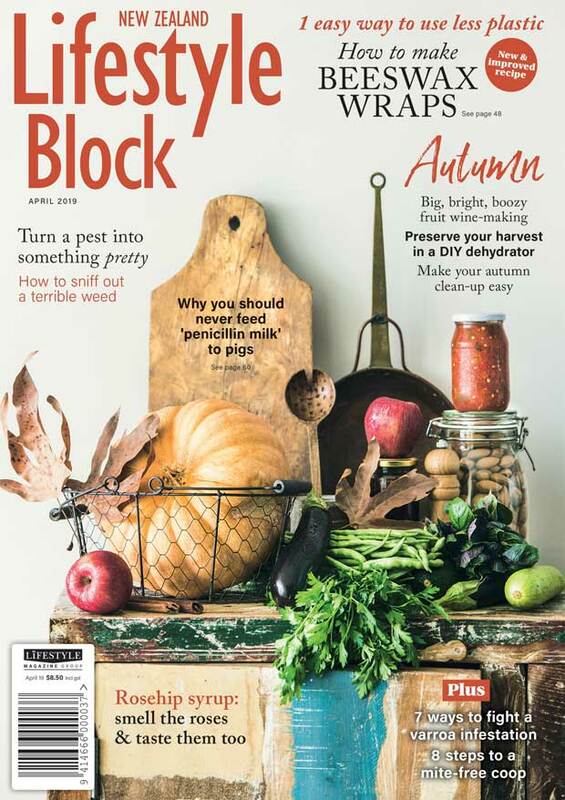 When he was just 17, some gardening clients advised him to find a product-based business, so he wouldn’t forever be “trading hours for dollars”. The idea stayed with him for the next 15 years, but it wasn’t until a period of ill health, during which he was holed up at home alone for weeks, that he decided to do something about it. “I was self-employed, so after the first couple of weeks the money started running out,” Greg says. “I realized I was vulnerable to this happening again and I remembered that conversation 15 years before. 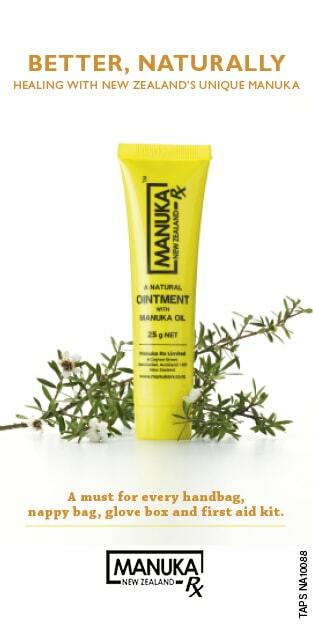 I realized I had to have a self-sustaining business that could potentially work without me, so what I really needed was a consumable product. The idea was put to the back of his mind until a year or so later, and that fateful trip to the market. 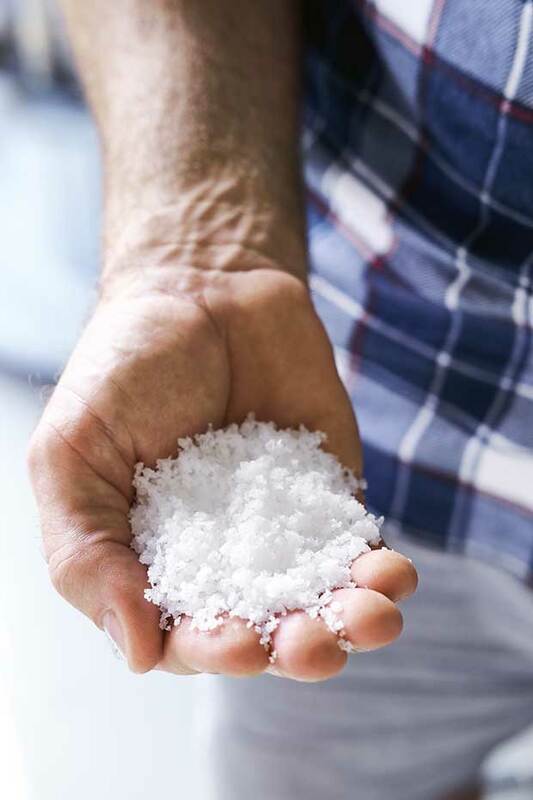 He began experimenting – grabbing a bucketful of water from the beach on his way home from the market and Googling, ‘How do you make sea salt’. The first search result suggested boiling seawater until it evaporates. 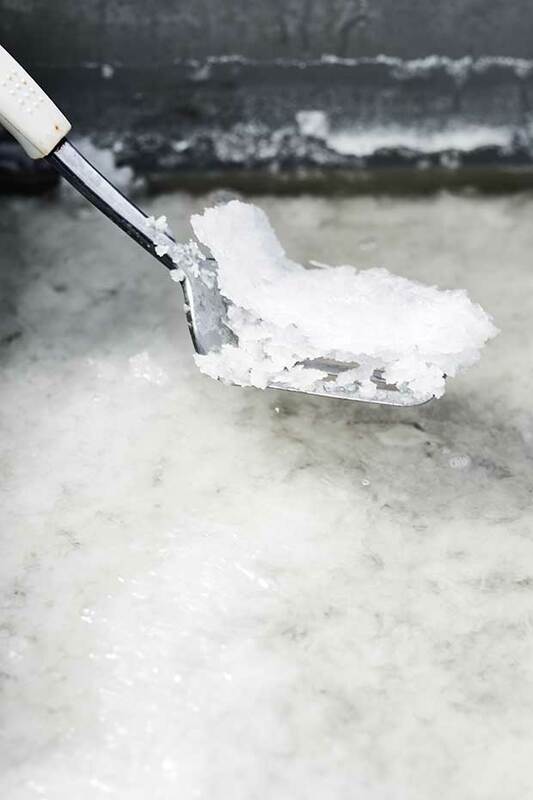 “I didn’t realize how long it would take but late that night I was eventually left with a white, sludgy, grainy-looking salt. 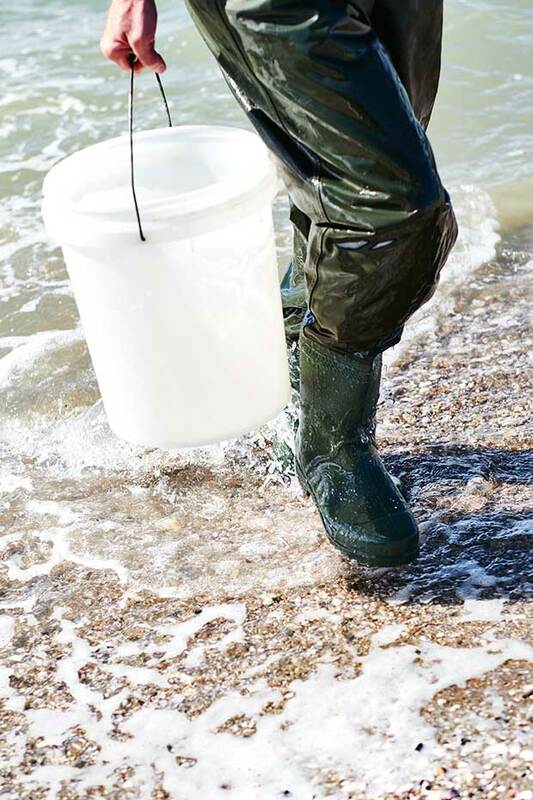 Greg Beattie collecting sea water. Greg was close to throwing in the towel when his twin brother Jono, a chef who runs Texture Catering, tried some. Hand-harvesting sea-salt flakes from the pan. Greg knew the key to making his salt a viable business was to speed up the rate of evaporation. He found the solution via the industrial methods used to make road salt in the US, plus YouTube clips of high-school students evaporating water under vacuum pressure. His first attempt to use it resulted in water gushing down the driveway and some very concerned looks from his neighbours in suburban Highland Park, east Auckland. 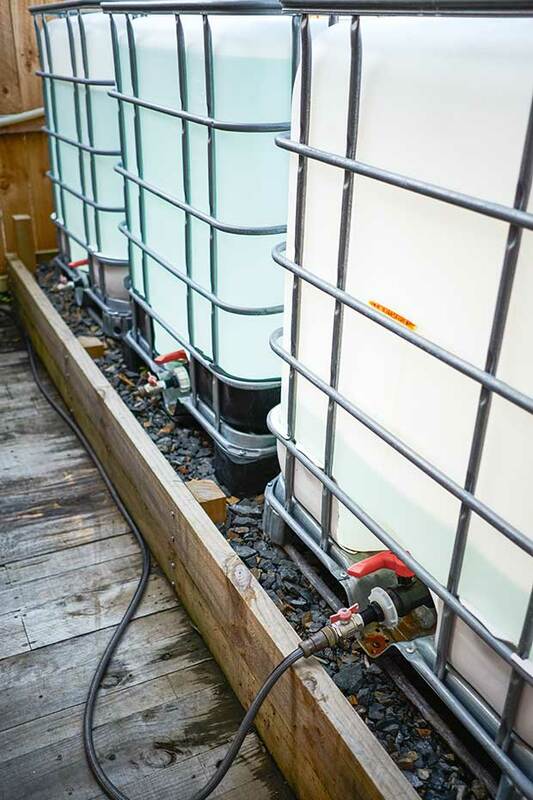 Storage tanks hold evaporated water. But, after another two years of experimentation, calculations and obsessive record-keeping, Greg ended up with a custom-built vacuum chamber – an impressive effort for a gardener who says he was “very average” at science and maths. He has worked out how to tweak the salt to change its flavour, removing the calcium and some of the magnesium to make it cleaner on the palate, with no bitter aftertaste. Since launching his product, Greg has collaborated with fellow Auckland artisan producer Line Hart of Line’s Knækbrød on a rosemary and sea salt crackerbread. “It’s been a fantastic success – it’s her most popular variety,” he says. 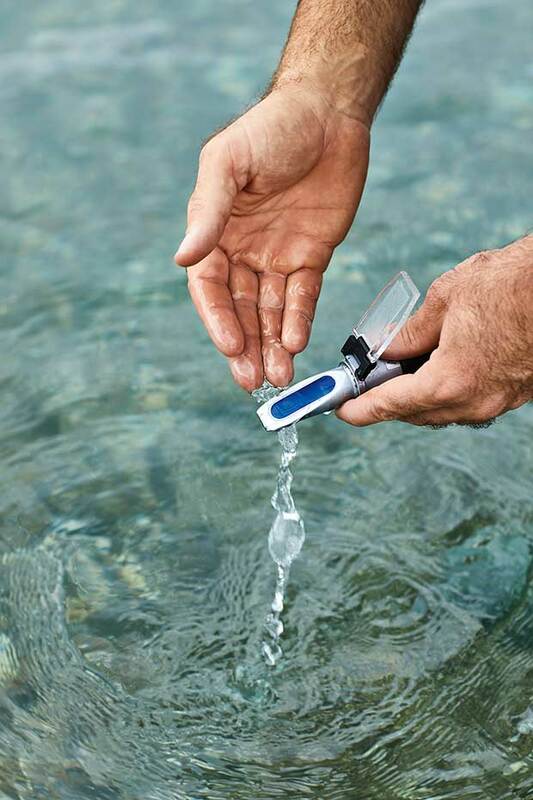 A sample of sea water is collected using a refractometer, which measures salinity levels. 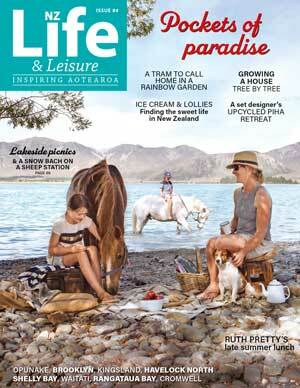 The crackerbread won gold in the Outstanding NZ Food Producer Awards this year, while Hauraki Salt was awarded silver. Greg has also worked with Devonport Chocolates, supplying salt for their caramel chocolates, and would love to engage in further collaborations. 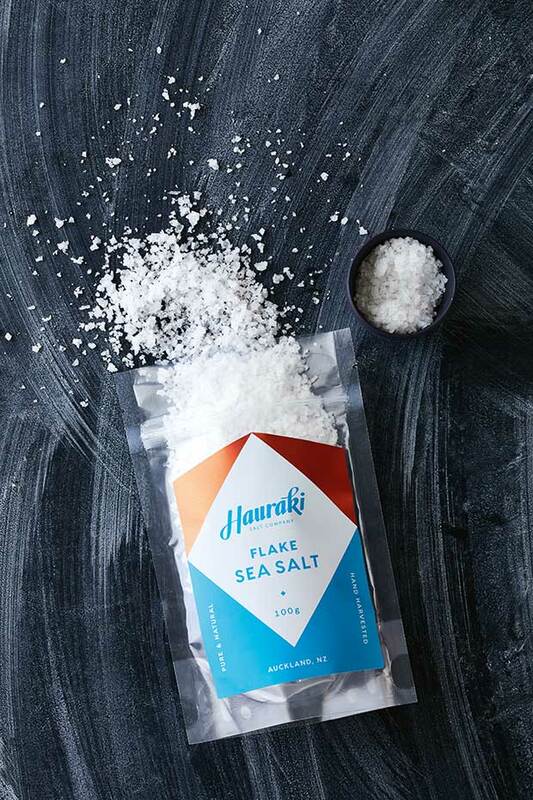 With its retro-inspired packaging, Hauraki Salt is now on the shelves of retailers, including Auckland’s Farro Fresh. It’s also on the tables at the Hallertau brewery restaurant in Riverhead, west of Auckland, at the New Zealand Embassy in Washington DC and at Kiwi chef Matt Lambert’s Michelin-starred New York eatery The Musket Room. Greg is still working full time at his gardening business but hopes to dedicate himself fully to Hauraki Salt one day.